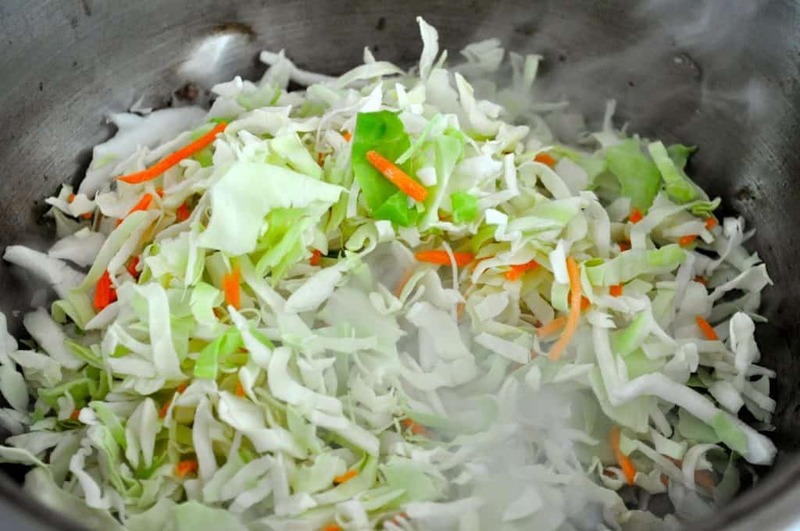 A recipe for Hot Egg Roll Salad, a low calorie, high vegetable and protein salad that will leave you powered up all day. It’s grain free and soy free(if you like it that way) and cooks in about 5 minutes flat. A while back I posted about my Power Salads, sure a silly title but well suited. 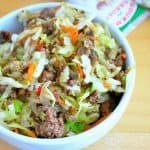 I thought since there was some interest in the Hot Egg Roll Salad that I’d share how I make it and offer a few more directions. This version is soy sauce free and grain free but full of flavor, if you like soy sauce, by all means, use it, I’m just trying to cut down on my salt intake. 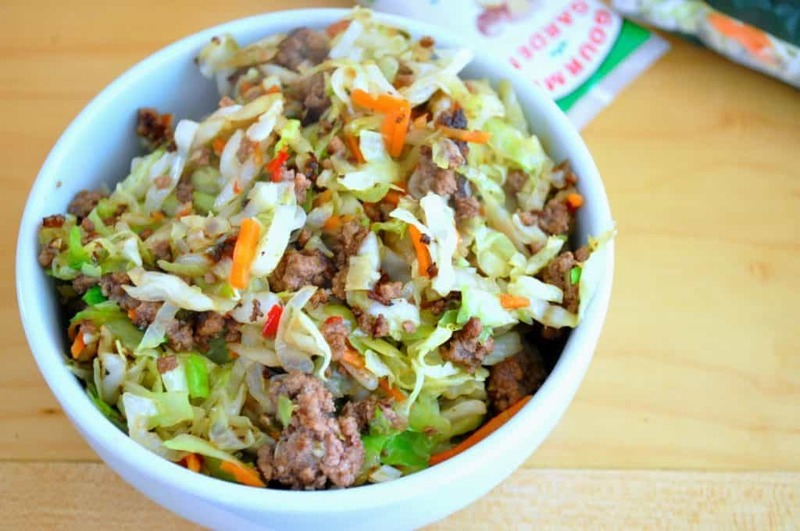 So the original idea was quickly brown lean ground beef, add coleslaw mix, soy sauce and salsa and cook it down. 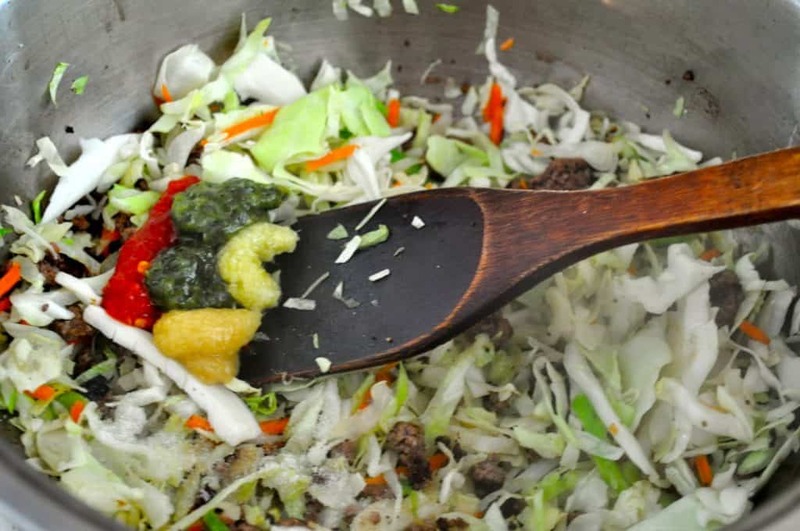 This recipe is similar but with a few photos and I will include the original soy sauce version AND the alternate directions on using no soy sauce. This dish cooks in under 5 minutes and that means start to finish you’re eating lunch for under 3 bucks and in 5 minutes but you’ll have a pan to wash! Whichever way you make this it’s sure to fill you up, power you up and keep you going for the next 4 hours. Need more calories? 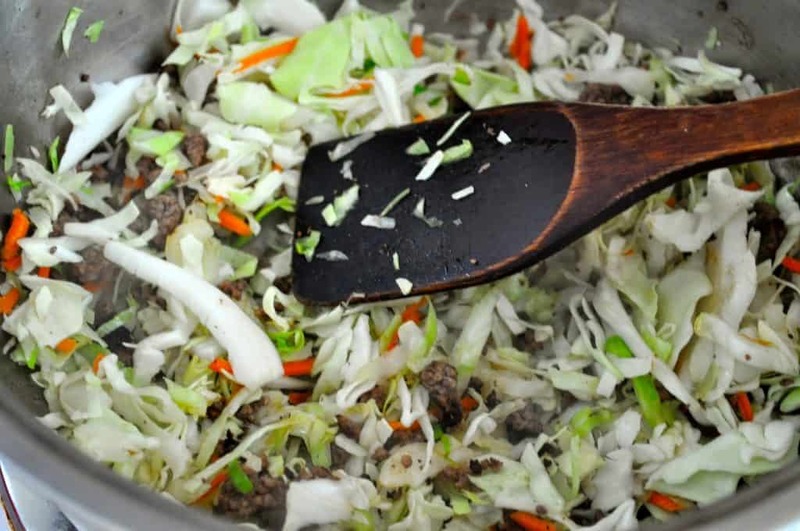 Add a few ounces of ground beef, you won’t need to make many adjustments if you add up to double the beef because the cabbage releases it’s water and makes it saucy, just taste it and add what you need. Now you can also use fresh versions of all Gourmet Garden Pastes I mentioned but I like to keep them on hand it makes cooking flavorful food so easy and fast to do! And if I’m feeling spicy I add a splash of sriracha. 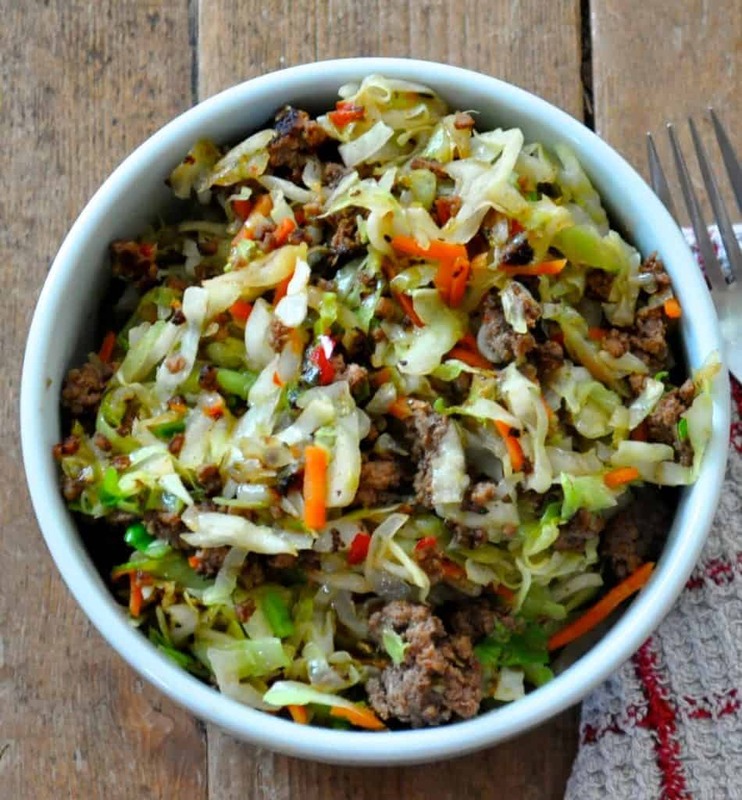 I really want this salad…And I don't even like egg rolls usually (I know, I'm so finicky!)! They are a great party food or simply as an afternoon snack. Such a great idea! I love one bowl meals like this. You and me both Lori! I love less dishes and quick eats too : ) cheers! Hi Laura – Where can I find more recipes like this, that are perfectly portion controlled for one serving? wow–great question! I haven’t got a lot because we have a family of five and I don’t make a lot of dishes for one.